Mystery Case Files: 13th Skull is rated 4.1 out of 5 by 228. Rated 5 out of 5 by sbmeaders from Awsome-A Must Have This game had everything: a lot to do, great characters (I am still laughing over some of them), beautiful graphics. This was also a long game which I love- definately got my money's worth with this one. Why, oh why can't there be more games of this caliber? Rated 5 out of 5 by centauri272 from Another great MCF! This is again a great MCF! As a detective, you have to find a person, a ghost, a pirate... - The graphics are great, with real persons. - The sound is adding to the creepy atmosphere. - The objects in the HOS are quite easy to find. - The puzzles are sometimes challenging. I was happy to have the walkthrough. - You have a journal that is very helpful. - The dialogs are sometimes quite long, but they contain useful hints. - There is a map that is actually part of a puzzle, so of no use otherwise. - The hint system is good, giving you advice for the next task. - There is a lot of to and fro, but you don't get lost. - The game is long; I needed about 5 hours. All in all, a great creepy game, with a twist! Rated 5 out of 5 by greenshade from Don't miss this Catch of the Week! Loved every second of this game. Talking to the people was FUN... and having to go on a scavenger hunt to locate things for them or complete a chore was so much better than finding hidden objects in a junk pile! I own the CE but this game is a good stand alone, too. I don't know WHY this game hasn't received a 5 star yet but at this price you can't go wrong so give it a try! Rated 5 out of 5 by pjw4 from Another Winner from Mystery Case Files WOW! This games presented a challenge from beginning to end! The mini games/puzzles were very complex and you constantly had to refer to your notes--great challenge. I'm not sure which I like best--this one or Return to Ravehurst. Well done Mystery Case Files. Keep up the good work! Rated 5 out of 5 by toddnkathy from MCF, you've done it again!!! This is my 2nd FAVORITE GAME of all time!!! This game will BLOW your mind when you play it. STUNNING GRAPHICS and VERY SPOOKY MUSIC!!! A very realistic game and a WONDERFUL storyline. TRUST ME, BUY THIS GAME!!! 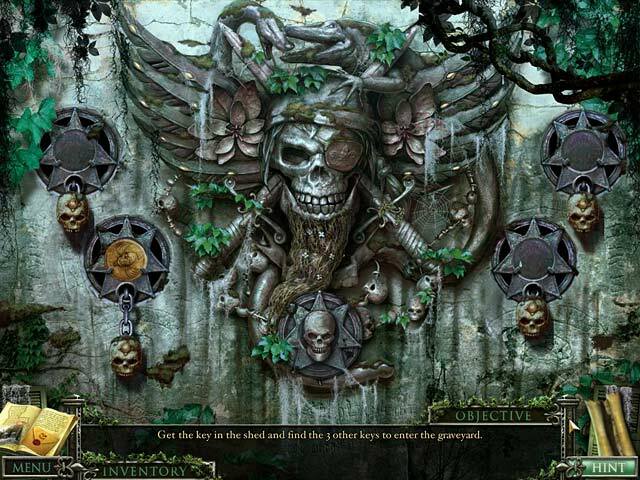 Rated 5 out of 5 by sandradolores from Mystery Case Files: 13th Skull I thoroughly enjoyed this game. Even for a rather old lady, it was fun and challenging and it was nice to have one that took quite a while to finish. I would love to have more games similar to this one in my collection. Any suggestions would be greatly appreciated. Two thumbs up! Rated 5 out of 5 by CourageAngel from MCF does it again! 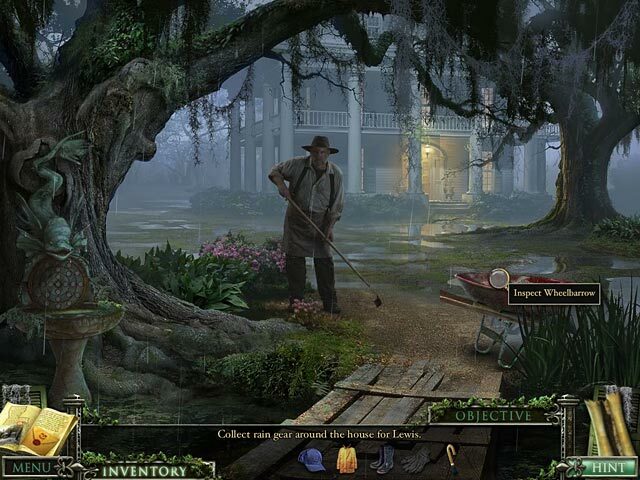 This is the game that got me interested in the Mystery Case Files games. I bought this mainly due to the fact that the story was something I would enjoy playing and that the setting is in Louisiana. The graphics are clear, which helps when you play a HOS. The live actors are a nice change. And the superstition and twists make this game very fun to play. Rated 5 out of 5 by ScubaJen from Thumbs UP! I started playing this game on BFUnlimited, and loved it so much, I bought it. I'm from south Louisiana, and I thought BFG got most of the characters and the scenery, etc. pretty accurate. I especially love the little nuance things, like correctly referencing the names of Parishes (i.e. counties). The graphics were sharp, and the live video interactions really made you feel like you were the detective in this game. It was a very immersive game. Loved it! I'd be interested in playing more games like this from BFG! Rated 5 out of 5 by cyganka1986 from LOVED IT!!!!!! loved it, thought it was great!!!! Rated 5 out of 5 by harveykeck from Entertaining I really enjoyed this game and it entertained me for hours. I had to walk away and come back again, very enjoyable! Rated 5 out of 5 by kanedog from Loved this game!! I thought this was one of the best HOG games I have played to this date. Would love to find more just like it. Loved the real character interaction and am extremely surprised at some of the negative comments. Rated 5 out of 5 by k8r0x from Excellent! Great game! Great atmosphere, great storyline, a good challenge, and a very long game play. I enjoyed the real-life characters. Should have bought the collector's edition. The only thing I didn't like was the voice at the end telling me to hurry up because I prefer casual game-play. Nice job! Rated 5 out of 5 by BabyDollyCC from very good game omg this sucked my brain for the whole 1 hour trial and left me hungry for moree! Rated 5 out of 5 by jcmh77 from Excellent adventure game. The best adventure game that I have played. Rated 5 out of 5 by Mrs_Kim from What more I could ask for? This game has everything! As my title says, this game is the best among all the MCF files. This is actually the first game that I played with live actors. The graphic and sound are top notch and the pirate theme set in New Orleans are the best. Nothing more to say here except, buy it! Rated 5 out of 5 by Boomer1097 from Pirate Fun I really enjoyed this game. Solve the kidnapping, endure a few twists and turns, then try to find some pirate booty. The graphics and sound are excellent. The scenes with live actors are good. I enjoyed the mini games. There weren't many HOS. The only thing missing was a map that allowed you to click from place-to-place. The length of game play was good. I did have to consult the walk through a couple of times late in the game. This is the first Mystery Case Files game I've played and I will definitely be purchasing the others. Rated 5 out of 5 by hellishrhino from The game that started my addiction! This was thee first game I had purchased from Big Fish, the one that started it all! 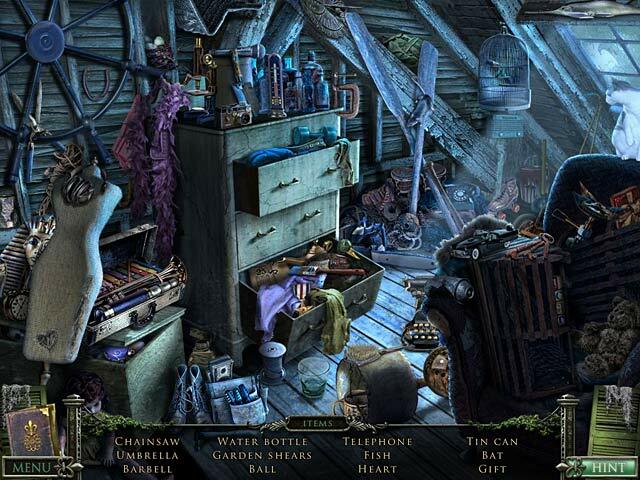 MCF: 13th Skull was a phenomenal hidden object game that really felt like a mystery movie. The awesome real actor movies is what hooked me to this game along with the great matching sound/music. They need to have more games with these real action movies. The puzzles were not too difficult, but strong enough to keep you awake. I've purchased at least 20 BF games, thanks to this game. SO! Buy this game and tell me it doesn't leave you wanting for more Mystery Case Files. 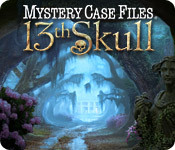 Rated 5 out of 5 by DebbieOverbey from Mystery Case Files ®: 13th Skull ™ Not your average hidden object game. This one has an awesome twist! Rated 5 out of 5 by Hayleys024 from Loved It This game is fabulous, really enjoyable and had a good storyline Love ti! Rated 5 out of 5 by MatildaRabbit from Lot of fun! I actually bought this on CD in the store and could kick myself since it's on sale for $2.99 today. The setting is deep in the Louisiana swamps (about 3 hours away from where I live), and the area to explore is rich in atmosphere. The occasional background music is a bit twangy and bluesy with a harmonica to remind you where you are, in case it slips your mind. The hidden objects may include alligator heads and other themed objects. The story integrates the rich culture of the Deep South with pirates, which are quite popular these days. Once again, you play the Master Detective looking for a missing person. The environment, the puzzles, and the story were just pure fun. This game also included live action, and I wish I could have seen more of the character in the voodoo shop. Unfortunately, she only played a small role. I hope BFS keeps more fun games like this coming. Rated 5 out of 5 by texasvic from Couldn't leave it alone This was a great game - well worth the purchase. I couldn't put it down. Some parts were pretty challenging, and you really had to use your powers of observation. I liked the live actors. The puzzles were unusual, and difficult without being impossible. All in all, a 5 star game. Rated 5 out of 5 by sumo61 from WOW what a great game. Reading the reviews i see some people dont recommend this game?, i can only say they havn,t played many games?. This is the best HO game out there by far. This game is on special offer today for £2.30, what a great buy. I paid £11 but it was worth every penny. A truly great game, i could talk all day about this game, you can read all the reviews, but the only way to find out is to play it yourself. Rated 5 out of 5 by JEWLIANNE from Fun, challenging game! This game is challenging and long, but in a good way. I love the long games, makes me feel like I'm getting my moneys worth. I highly recommend this game. I've played it numerous times and still enjoy it immensely! Rated 5 out of 5 by wvfirefly8 from Great Fun! I thought this game was alot of fun. Puzzles weren't too hard and it looked good! Rated 5 out of 5 by stretchmymind from Great MCF Game! Loved it. The meshing of live action and animation was very good! The story was intriguing and its conclusion was great. I am hoping that the next time the detective (the player) gets a warm clime though. I got cold playing the game (because of all the rain). The HO scenes were really good and the puzzles were terrific - challenging but not impossible. There is a journal which is very helpful. The hint button refills at a reasonable rate and you can skip the puzzles you don't want to do. Rated 5 out of 5 by greymer from an excellent game, worth your time I didnt think they could top Dire Grove but they did. This game was absolutely excellent. if there was anything I felt the game lacked it was more content, as usual -it felt a bit short clocking in at around 5 hours. Still, it was engaging and well designed and an awful lot of fun with a great storyline. If you havent played this one and are looking for a new HOG adventure, grab it -its well worth your time and money! Rated 5 out of 5 by LOISJANE29 from Great Game! I enjoyed this game tremendously. I really liked the live actors and the challenges were followed the story line in a logical way. Rated 5 out of 5 by milehighkrc from VERY nice game! EXCELLENT! Nothing more to say. Wish there were more like this one.